Do you agree with this tweet about the Ooni of Ife? 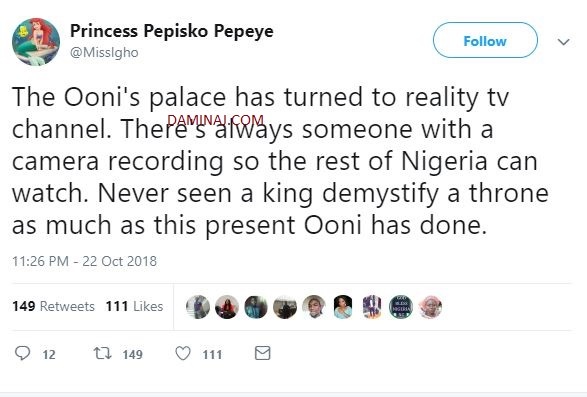 The Ooni's palace has turned to reality tv channel. There's always someone with a camera recording so the rest of Nigeria can watch. Never seen a king demystify a throne as much as this present Ooni has done.